Pets and Rental Homes: Should They Mix? If you’re a homeowner, you may feel the pressure to commit to allowing pets, but at the same time feel worried about the consequences. For homemakers, you may be desperate to find a pet-friendly home. Do pets belong in rental properties? We address this issue and explain how a good consultant can make this match work for the benefit of all. How Hard Is It To Find a Pet-Friendly Property? Firstly, for those who have never needed to search for a pet-friendly rental property, it may come as a surprise to know just how limited they are. Currently, only 10% of Queensland properties are listed as pet-friendly. With approximately two-thirds of households owning pets, according to Money Mag, this divide has caused more than 600 pets to be surrendered to animal welfare last year alone. Despite the grave statistics, it is a big decision for a homeowner to allow pets on their property. Your rental home might have previously been your family home; an inherited home; or an investment you have worked very hard to acquire. Some homeowners may be worried pets will damage carpet or flooring, or ruin yards and fences. Others may be unsure of noise complaints or feel their home is unsuitable for pets. It is common for homeowners to err on the side of caution and rule out allowing pets altogether as part of the leasing agreement. But if you’re an animal lover yourself, you know the benefits a pet can bring to a home and this may inspire you to rethink your no-pets stance. Let’s look at several of the more pragmatic benefits to allowing pets in your rental property. Better returns and lower vacancies. Making your property “pet-friendly” squeezes you into that 10% of properties in the market in Queensland. So it’s no surprise that homemakers may be willing to pay more rent under these conditions. Higher demand for pet-friendly homes means your property is vacant for less time and homemakers with pets are more likely to stay longer at a property, given how hard they are to come by. Avoids hidden pets. By allowing pets, and stipulating the type of pet, you may eliminate homemakers having to hide pets in your home. Some pets are unsuitable for your home, and having control over the type of pet can reduce the risk of the wrong one hiding in your backyard (or in your house all day). Choosing from a bigger pool of homemakers. Welcoming pet-owning homemakers opens up your home to the other two-thirds of the rental market. Plus, if your home needs someone caring and responsible to take care of it, then a pet owning homemaker probably makes an excellent choice. Helping humanity. 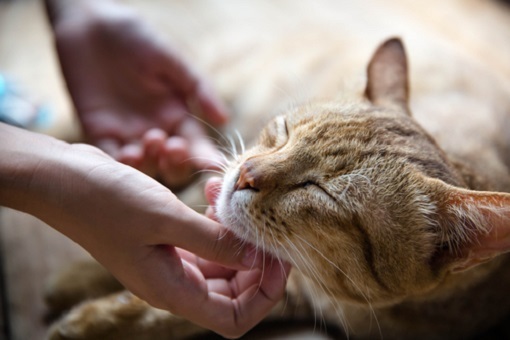 Allowing pets has some great ‘feel good’ benefits for you and the occupants of your home. Pets are wonderful human friends and help promote both physical and psychological wellbeing. Having them around the home means that children are given the benefit of taking care of something else. As well, for those living alone, they are a wonderful source of companionship. Making your property pet-friendly doesn’t have to be risky. One of the biggest barriers to allowing pets is a lack of trust between you and your managing Agent. If that’s the case, the first step is to find one who knows pets. Working with a good pet-friendly consultant can help you identify the right type of pet suitable for your home. Your consultant can take into consideration the size of your yard, your flooring, your fencing, and your neighbours. 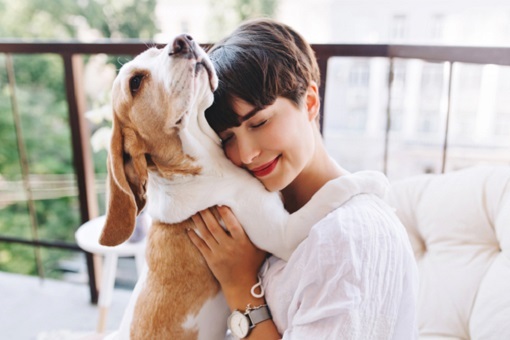 To avoid damage, your consultant can help you ask questions of prospective homemakers such as “Where will you keep the pet, where the pet will eat, how often are you home, how often will your dog be walked?” These are all ways to reduce anxiety and know you have the right match. The creation of agreements and commitments with the pet owner can also give you peace of mind and protect your property at the same time. Your consultant can also suggest appropriate insurance cover in the unlikely event an animal did damage your property. It is also helpful to reiterate your willingness to be responsible for any damages to the home your pet may cause. An important component of a successful pet-friendly tenancy agreement is, as with all parts of leasing, communication. Some honest conversation and compromise on both ends can go a long way to keeping everyone happy, including our four-legged friends. Most importantly, by saying yes to more pets in properties, we can help to keep them out of the shelter, and in our hearts and homes where they belong. Do You Have a Brisbane Home You Want to Make Pet-Friendly? If you would like to welcome pets into your investment property, Bluebell Connections can offer you the benefit of our extensive experience matching pets, people and homes. If you want Property Management service which reaches beyond the numbers, arrange a confidential chat with Roselee about your home.